Using reports when developing MVC applications - Fast Reports Inc. If you create a Web project on the MVC pattern is a reasonable question - how to use the web-reports FastReport.Net? 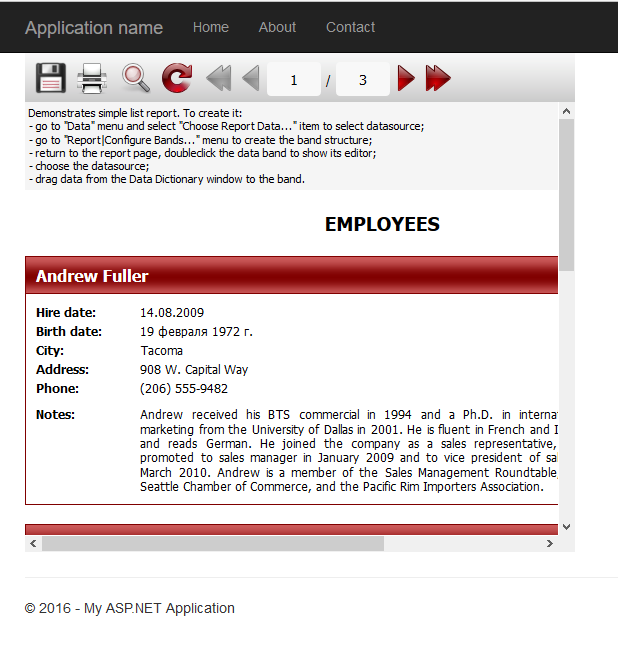 They can be found in the folder FastReport.Net application. I decided to publish a report on the Home page of the site. Therefore, we will work with the report in HomeController.cs. Consider the details. In the first line we create an instance of the class WebReport. Next, create a variable to store the path to the folder with the reports. For our report required data, so we create a dataset and load xml database to it. Now you need to register a data source in the report object using the method RegisterData (). Use Load () method to load a report template. ViewBag is a wrapper around the object ViewData, and is designed to transmit data from the controller to the view. In this case, we will transmit the report to the view Index, which essentially is the Home page. I removed the unnecessary and leave only the title page, and our report, presented in HTML format. Corresponding to this page the controller will give a report to it. 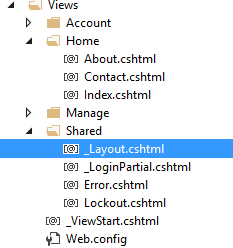 It remains only to correct Web.config which is located in the Views folder. Thus, you can use the web reports in MVC projects.